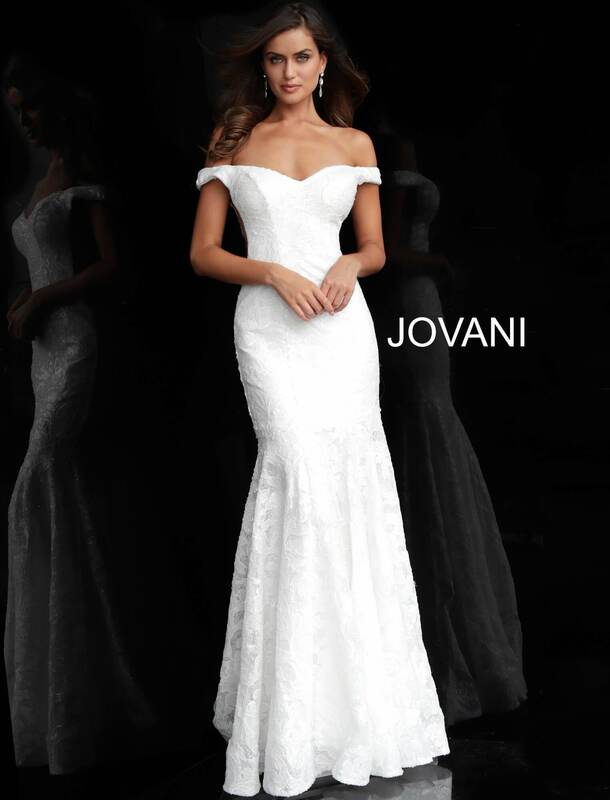 This beautiful Jovani 57024 gown is to die for! It is off-the-shoulder with a partial open back. Each side has am open slit filled with a mesh material. This mermaid gown is made with a beautiful lace material. You will look like and feel like a princess with this gown on!